For those of you new to the subject, radionics is a means of mind/matter interaction that employs specially-designed instruments usually constructed from familiar electronic components. By using a proper set of protocols, practitioners use these instruments to "tune in" to the subtle levels of nature. We might say that radionics is an organized way of tapping into our natural, intuitive nature—something we all possess to a greater or lesser degree. In this sense, it is similar to dowsing and, in fact, radionics protocols include dowsing techniques. Radionics began as a controversial medical modality early in the 20th Century. Though radionics is legal and well-accepted as a healing art in much of Europe, its medical use is currently illegal in the United States. (Click here for details.) Its uses, however, are not confined to medicine. 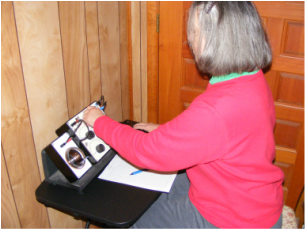 A growing number of farmers, agronomists, horticulturalists, veterinarians, gardeners, geologists, hydrologists, herbalists and researchers in meditation and personal growth are using radionics in their professional and non-professional endeavors. The applications, it seems, are only limited by our creativity. My particular focus is organic agriculture—the field I have worked in professionally most of my career. To learn more about what I've been doing in that regard, click on the Organic Ag tab above. I hope you enjoy visiting this Web site and exploring its offerings. Drop by anytime.